Many thanks to the classmates, friends, colleagues and scholars who have helped make this site possible. Those who have contributed articles directly are listed below with a brief biography and a link to their website wherever possible. Please contact Angelica or lizaio if you need to be added or to append any information below. Angelica Bega completed her M.A. in Literature at Virginia Commonwealth University, where she also completed her B.A. in English with a minor in Women’s Studies. In addition to her interest in Gender Studies, Angelica is interested in Chicano/a literature, the sonnet, horror and the supernatural in literature, American drama, and literary geography (specifically of New York City). Besides Salinger, she counts Edwin Arlington Robinson, Sherwood Anderson, Edward Albee, Sandra Cisneros and Anton Chekhov among her favorite writers. She has presented papers at the University of Virginia and the University of Exeter (UK). Angelica intends to pursue a Ph.D. in the not-too-distant future. She is an adjunct professor of English and is at work on a number of projects including her personal website. Leslie Gleue is originally from Cocoa Beach Florida. She earned her B.A. in English from the University of Richmond in 2007 and her M.A. in English Literature from VCU in 2010. Elizabeth Downing would have totally quit Yale at 19 years old to go live with J.D. Salinger. Despite that shocking fact, she is an advertising professional, adjunct professor, fiction and non-fiction author and a lifetime student of literature. She obtained her BA and MA in English Literature from Virginia Commonwealth University, where her main focus was 20th Century American Literature, so in addition to J.D. Salinger her other studies were related to F. Scott Fitzgerald and Ernest Hemingway. Though she does like read books by women, and she will take the occasional trip into 16th century England to spend some time with another one of her favorite guys, her heart belongs to the “Boys Club” of the 1920’s – 1960’s. She is a Virginian by choice, having moved to Richmond in 1995 to start what would be a dramatically interrupted academic career that would end in 1999, resume in 2007, and be an all-consuming passion since. Brian McTague was born in Baltimore, MD. He grew up in New Jersey, where he first read “The Catcher in the Rye” at the age of 14. 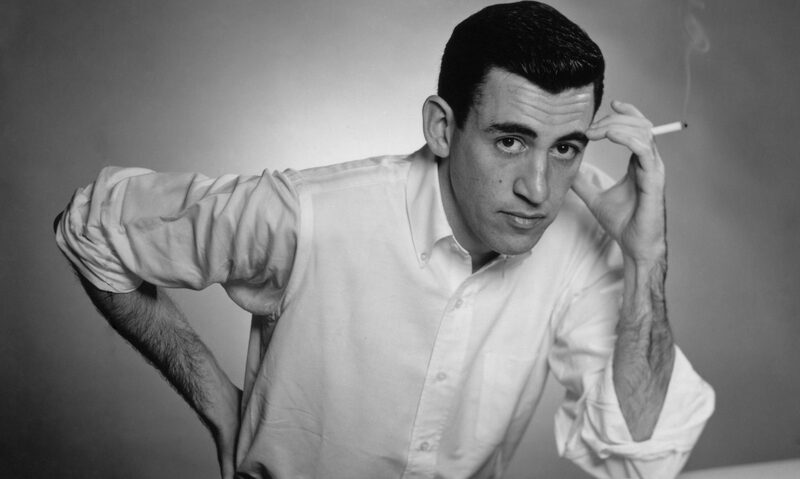 Forgot about Mr. Salinger (not because he did not enjoy his writing–much to the contrary!) until arriving at Virginia Commonwealth University in the Fall of 2009, where he began his Master’s Degree in Literature with a course dedicated to the reclusive author. The course sparked quite a good deal of interest, enough that he is currently writing his master’s thesis on Salinger’s Seymour Glass stories, with an emphasis on the enigmatic “Hapworth 16, 1924.” Brian will not again forget about J.D. Salinger any time soon! John Piersol teaches 11th and 12th grade English at the Appomattox Regional Governor’s school in Petersburg, VA. He grew up in Richmond, received a B.A. in English from the University of Virginia, then went on to receive an M.A. in English and a Secondary English Teaching Certification from Virginia Commonwealth University. He fell in love with Salinger’s work after reading The Catcher in the Rye for the first time in middle school, and Nine Stories is still his go-to volume when he wants a quick pick-me-up pleasure read. “The Laughing Man” and “A Perfect Day for Bananafish” are his favorite selections, and on certain days he feels that the latter is the most perfect short story he’s ever read. Brad McDuffie is an Instructor of English at Nyack College. He recently published his first book of poems, And The West Was Not So Far Away. He also published a chapbook of poems, Seven Hymns from the West, in the spring of 2010. His work has been published in various journals including The South Carolina Review, Aethlon and North Dakota Quarterly. His article, “For Ernest, With Love and Squalor: The Influence of Ernest Hemingway on the Life and Work of J. D. Salinger,” was excerpted by the Kansas City Star in July and will appear in the spring 2011 edition of The Hemingway Review.